What Is Driving The Recovery In The Sydney CBD Leasing Market? The Sydney CBD office market is in a cyclical upswing and has recorded 99,500 sqm of net absorption over the past 12 months. A new JLL Research report outlines the sectors supporting the upturn, but also notes the demand recovery will be uneven across different tenant sub-sectors. The JLL Research report titled, What is driving the recovery in the Sydney CBD leasing market? examines tenant demand from the industry sub-sectors that contribute to professional services demand for Sydney CBD office accommodation – legal services, accounting firms and the technology sector (computer system design). Professional services are the locomotive of employment growth and the take-up of office space in Sydney. Professional services employment has increased by 7 per cent between 2007 and the first quarter of 2015. However, it is not the traditional sub-sectors – legal and accounting – which are supporting growth, but computer system design and relatives services (the technology sector). JLL’s NSW Head of Office Leasing, Daniel Kernaghan said, “Sydney is benefitting from the expansion of home-grown technology firms and multi-national companies listed on the NASDAQ stock exchange. Recent new entrants into Australia include Twitter and Intuit, while LinkedIn and Atlassian have increased their footprint in Sydney over the past 12 months." 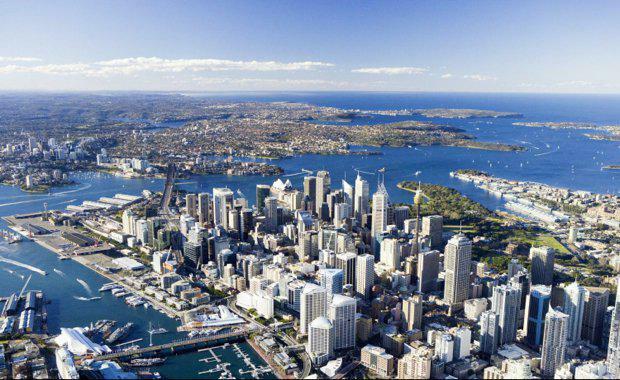 “However, the demand recovery for the Sydney market is uneven. Technology and mid-tier legal firms are increasing their headcount and occupational footprint, while we have recorded consolidation from investment banks and tier 1 legal firms. The strong performance of the NSW economy. Economic commentators have ranked NSW as the strongest performing state in Australia. The continuing downward trend for sub-lease vacancy. The most recent peak in sub-lease vacancy was 1.8 per cent of total stock (2Q13) with the current reading at 0.76 per cent of total stock. The number of occupied office stock at lower levels than the 40 year average. Sydney recorded its fifth successive quarter of positive net absorption in the first quarter of 2015, at 34,900 sqm and 99,500 sqm over the year to March 2015. (Figure 1) To put this figure into context, the 40 year average for net absorption in the Sydney CBD is 57,500 sqm. View JLL's What is driving the recovery in the Sydney CBD leasing market? here.